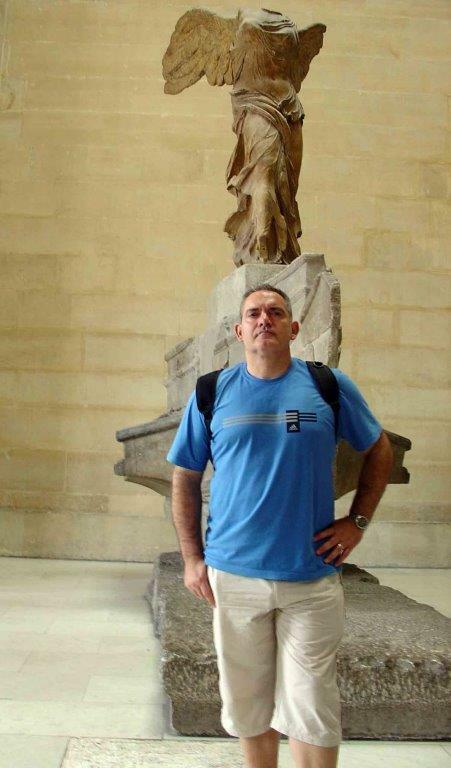 Visiting the Paris Louvre Museum in 2007, I was impressed by many works of art, one of them the goddess Nike or Victoria of Samothrace. I admire her strength and harmony, and already there I decided to create a sculpture based on her, but with cubist touch. 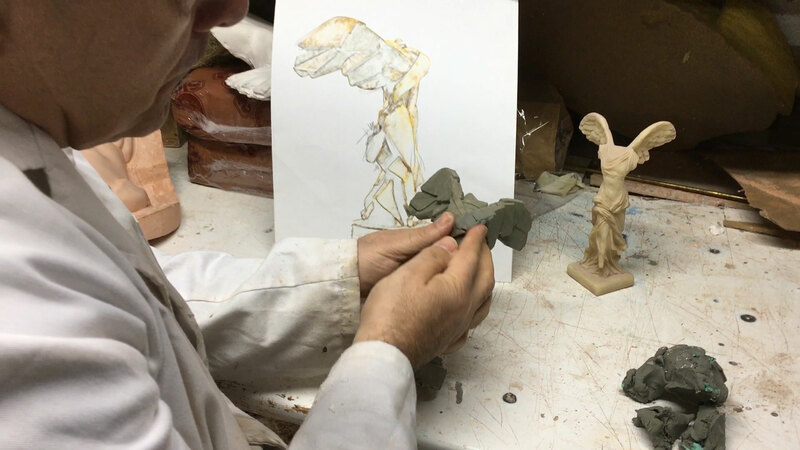 Back at my workshop, I drew the most important idea and strokes permitting maintain the harmony of Greek sculpture and at the same time turn each volume into cubist planes and geometries. Once the basic idea was clear, I created a small model in gray clay, and quickly got my purpose and got encouraged to work in several more sketches. This brought me to the one, which I am currently finishing, in plaster. I am already looking forward to finishing it and to passing it to bronze. Personally, it is one of the works that I like the most.